It is well-known that the values of symbolic variables may take various forms such as an interval, a set of stochastic measurements of some underlying patterns or qualitative multi-values and so on. However, the majority of existing work in symbolic data analysis still focuses on interval values. 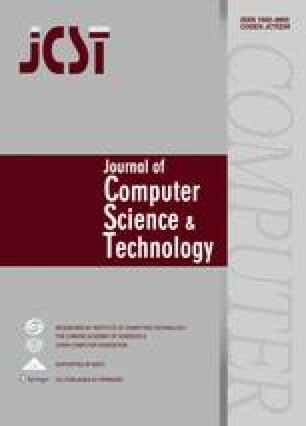 Although some pioneering work in stochastic pattern based symbolic data and mixture of symbolic variables has been explored, it still lacks flexibility and computation efficiency to make full use of the distinctive individual symbolic variables. Therefore, we bring forward a novel hierarchical clustering method with weighted general Jaccard distance and effective global pruning strategy for complex symbolic data and apply it to emitter identification. Extensive experiments indicate that our method has outperformed its peers in both computational efficiency and emitter identification accuracy. The online version of this article (doi: https://doi.org/10.1007/s11390-018-1857-9) contains supplementary material, which is available to authorized users.